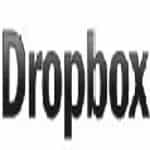 Looking for Best Online Backup services? Traditional backup and local backup which typically uses disks, CDs or your computer’s hard drive. Is a good practice , but also CDs can be scratched, hard drives can break, and what about a fire or flood ? in this case you will lose tons of word documents, Family pictures, music collection, e-mails, videos, spreadsheets, and anything else you store locally, and here is come the online backup service working as traditional backup , but here your data will be transmitted over the internet and stored in a secure data center instead CDs , DVDs or external hard drive. In this list we will we reviewed the best online backup services of 2016 based on initial upload/ lengthy process , File restoration, file encryption, easy to use, price and much more..
Zoolz is our first choice and its our best online backup service in 2016, Zoolz the first online backup provides lifetime online backup and storage with very cost effective price, with all the features you look for into online backup service such as automatic backup, Zero-Knowledge, Encryption (256 AES), with no file limitations and you have full flexibility and the freedom of control your backup you can setup schedule, file filtering, and even control the upload speed limit. 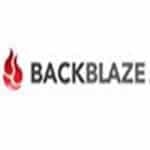 Backblaze offers a unique online backup service and web restore with unlimited storage and low cost effective price, automatic, reliable , File versioning and very secure SSL by using Military-Grade Encryption (256 AES) to protect your data. Backblaze give you the ability to backup Unlimited File Size By default, files up to 4 GB which users can changed it anytime in the setting tab , Also Backblaze will keep versions of a file that changes for up to 30 days so you need to make sure that If you delete your data on your PC, it will be deleted from Backblaze after 30 days. To get started with BackBlaze, sign up for an account, The web interface is clean and easy to navigate. Download and install desktop client,it will walks you through the process of backing up files step by step, and then set it to automatically backup. Backblaze costs $3.96 a month for 2 years ($95 total) $4.17 a month for 1 year ($50 total) and allows for an unlimited amount of data backup. Plus SOS lets you backup as many computers as you like using one account. Which is make SOS among other competitors, and I like the Access on iPhone , SOS iPhone client allows you to access your digital content stored in the SOS Online Backup. Back up your photos, presentations, documents and music to the SOS Online Backup, and access it through your SOS iPhone client. 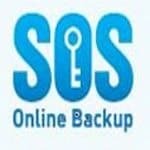 I recommend SOS Online Backup and it has one of the most modern-looking along with one of the richest feature sets. 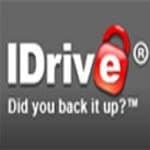 IDrive Basic is completely free and gives you up to 5 GB of storage. IDrive Pro costs $4.95/month for 150 GB Storage. Mozy gives you the ability to version saving so you can Restore file versions up to 30 days in the past. , incremental backup so after the initial backup, Mozy only backs up new or changed portions of files. This saves bandwidth and ensures future backups are lightning fast. To get started with Mozy, sign up for an account. Download and install Mozy, tell it what files or types of files to backup, and then set it to automatically backup whenever you like. 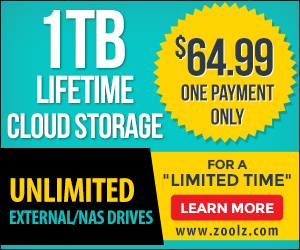 MozyHome costs $5.99/month and allows for 50 GB of data backup. 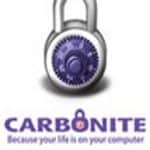 Carbonite provides similar online backup service in most ways to Mozy and SOS backup , include Automatic, reliable, and secure and encrypted backup , also Carbonite makes restoring files fast and easy. Restore any file or folder from your backup with just a few clicks. Carbonite’s service costs $59.95/year and allows for an unlimited amount of data backup. MyPC Backup provide unlimited online backup space with reasonable and cost-effective price, easy to use, automatic, reliable , and synchronization features, coupled with excellent value for money, it’s no wonder that MyPC Backup have quickly established themselves with the more established online backup and storage companies. MyPC Backup offers a 14 days free trial to all users, along with an ANYTIME money back guarantee on any unlimited plan should you not be happy, And to get started with MyPC Backup, sign up for an account. Download and install MyPC Backup, tell it what files or types of files to backup, and then set it to automatically backup whenever you like.